The past two decades have provided extraordinary progress in our understanding of the nature of learning. Never before have neuroscience and classroom instruction been so closely linked. Because advances in technology enable us to view the working brain as it learns, educators can now find evidence-based neuroimaging and brain-mapping studies to determine the most effective ways to teach. Learning causes growth of brain cells. For a long time, scientists held a misconception about brain growth: they believed it stopped at birth and was followed by a lifetime of brain cell death. Now we know that although most of the neurons where information is stored are present at birth, there is lifelong growth of the support and connecting cells that enrich the communication between neurons. These dendrites sprout from the arms (axons) or the cell body of the neuron. Dendrites increase in size and number in response to learned skills, experience, and information. New dendrites grow as branches from frequently activated neurons. This growth is stimulated by proteins called neurotrophins. Nerve growth factor is one of these neurotrophins. Although the brain measurements of neurotrophins are highest during childhood (when the brain's connecting cells are undergoing their greatest growth and development), as students continue to learn, neurotrophin activity is elevated in the brain regions responsible for new learning (Kang, Shelton, Welcher, & Schuman, 1997). Once these dendrites are formed, the brain's plasticity allows it to reshape and reorganize the networks of dendrite-neuron connections in response to increased or decreased use of these pathways (Giedd et al., 1999). Examples of brain plasticity have been noted when people repeatedly practice activities controlled by parts of their visual, motor, sensory, or coordination systems for specialized learned activities. Blind people who read Braille have significantly larger somatosensory cortexes, where the sense of touch in their right fingers is processed. Similarly, violin players who use the fingers of their left hands to do the complicated movements along the strings have larger somatosensory regions in the area of their parietal lobe associated with the fingers of the left hand. A 2004 report in Nature found that people who learned how to juggle increased the amount of gray matter in their occipital lobes (visual memory areas). When they stopped practicing the juggling, the new gray matter vanished. A similar structural change appears to occur in people who learn—and then don't practice—a second language. The decrease in connecting dendrites and other supporting brain connecting cells that are not used is called pruning. The loss of native language ability, juggling skills, or learned academic material that is not practiced is the flip side of the brain's growth response to learning. It is the “use it or lose it” phenomenon. The process is called “pruning” because the brain pathways and connections that are used regularly are maintained and “hard-wired,” while others are eliminated, or pruned. Pruning. Just as hedges are pruned to cut off errant shoots that don't communicate with many neighboring leaves, the brain prunes its own inactive cells. By the time we enter adolescence, our brain has chosen most of the final neurons it will keep throughout our adult life based on which cells are used and which are not. Neurons are pruned when they are not used. Active cells require blood to bring nourishment and clear away waste, but cells that are inactive don't send messages to the circulatory system to send blood. (The brain cells receive circulation not from blood, as seen in the rest of the body, but rather from a colorless, filtered form of blood called cerebral spinal fluid.) This reduced blood flow means that calcium ions accumulate around the cell and are not washed away. This build-up of calcium ions triggers the secretion of the enzyme calpain, which causes cells to self-destruct. To think about pruning in terms of brain cell growth, consider first the astonishing development of the embryonic brain that by week four is producing half a million neurons every minute. During the next several weeks these cells travel to what will become the brain and begin to form branching axons and dendrites. The synaptic junctions that are present at each connection between neuron, dendrite, or axon reach a maximum development rate of two million per second. This plethora of neurons and neuronal connections is pruned in the last few weeks before birth. The orphaned neurons that did not form connections with neighboring cells die off, and only the neurons that are in networks remain and become differentiated into circuits with specific functions (Sowell, Peterson, & Thompson, 2003). After birth, the brain's gray matter has another growth spurt, with increased gray matter and connections reaching a maximum density at about age 11. This growth is followed by another pruning phase (Seeman, 1999), when unused and unnecessary memory circuits are broken down. If this second pruning phase did not take place, there would be too many crowded circuits in the brain for it to be efficient—just as a computer with lots of data would take longer to turn on because all the data must be activated before the computer can be used. The more ways something is learned, the more memory pathways are built. This brain research discovery is part of the reason for the current notion that stimulating the growth of more dendrites and synaptic connections is one of the best things teachers can learn to do for the brains of their students. When children are between the ages of 6 and 12, their neurons grow more and more synapses that serve as new pathways for nerve signals. This thickening of gray matter (the branching dendrites of the neurons and the synaptic connections they form) is accompanied by thickening in the brain's white matter (fatty myelin sheaths that insulate the axons carrying information away from the neuron and making the nerve-signal transmissions faster and more efficient). As the brain becomes more efficient, the less-used circuits are pruned away, but the most frequently used connections become thicker, with more myelin coating making them more efficient (Guild, 2004). In the classroom, the more ways the material to be learned is introduced to the brain and reviewed, the more dendritic pathways of access will be created. There will be more synaptic cell-to-cell bridges, and these pathways will be used more often, become stronger, and remain safe from pruning. For example, offering the information visually will set up a connection with the occipital lobes (the posterior lobes of the brain that process optical input). Subsequently or simultaneously having students hear the information will hook up a dendritic circuit with the temporal lobes (the lobes on the sides of the brain that process auditory input and play an important role in the regulation of emotion and memory processing). This duplication results in greater opportunity for future cues to prompt the brain access to this stored information. Multiple stimulations mean better memory. The more regions of the brain that store data about a subject, the more interconnection there is. This redundancy means students will have more opportunities to pull up all those related bits of data from their multiple storage areas in response to a single cue. This cross-referencing of data strengthens the data into something we've learned rather than just memorized. For example, when we learn about our cars, we store the information in brain association areas under multiple categories that relate to the context with which new information about cars is learned. When we see a car, it goes into the visual image cortex. When we see the word C-A-R spelled out, that information goes into a language-association region. After learning about the internal combustion engine, the association is made with “jet and rocket engines are also powered by internal combustion.” Later we build associational memories with the cars we've grown up with. Because the information about cars is stored in multiple brain areas, and cross-referencing occurs among these areas when we think about cars, connecting networks of dendrites sprout among these memory storage areas. This circuitry permits multiple cues or stimuli to call forth all our car knowledge instantaneously. Just seeing the word “car” will put our recall systems online to provide all the stored data we have connected pertaining to cars. We may not need all that information, but because the associations activate these circuits, any of the stored information that we do need will be rapidly and efficiently accessible. That is the reason for teaching important material through multiple learning pathways such as several senses (hearing, seeing, touching) as well as through several subjects (cross-curricular topics). From enriched cages to enriched classrooms and curriculum. Even before plasticity was fully understood, neuroimaging laboratory research demonstrated how growing brains are physically shaped by experience. The brain sizes and weights of rats reared in standard cages were compared with those that lived in enriched cages (where the rats had more objects that they could manipulate). The rats reared in enriched environments had brains that were larger and heavier. Their dendrites, neural pathways, and connections were much longer and more complex, and the pathways branched out to more areas of their brains. Chimpanzees living in enriched environments with stable social communities showed an increase in dendrite sprouting and synaptic connections in proportion to their increased ability to perform complex memory tasks, such as learning their way around a new maze. They also appeared to interact more positively with members of their group and to work more tenaciously on tasks and problems. If a few pieces of metal in a rat cage and a stable community of chimps can do all that, think what educators can do in classrooms and with curriculum. In addition, building a supportive social classroom community, with enriched input from the environment, will result in more brain pathways and greater speed and efficiency of brain signals. There are many classifications of the types of memory, and the one presented here is a composite of several existing ones. From the most basic awareness of our environment, our memory skills progress to rote memory, working (short-term) memory, patterning and connections to relational memory, and ultimately, long-term memory storage. Rote memory is unfortunately the most commonly required memory task for students in primary and secondary school. This type of learning involves “memorizing,” and soon forgetting, facts that are often of little primary interest or emotional value to the student, such as a list of vocabulary words. Facts that are memorized by rehearsing over and over often don't have obvious or engaging patterns or connections. With nothing to give them context or relationship to each other or to the students' lives, these facts are stored in remoter areas of the brain. These isolated bits are more difficult to locate later because there are few nerve pathways leading to these remote storage systems. Brain-based strategies can be used to reduce the amount of rote memorization required, and what remains can be less tedious because these strategies help students access and use more effective types of memory storage and retrieval. The goal of research-based education is to structure lessons to ultimately rely less on inefficient and tedious rote memory. Helping students access and use more effective types of memory storage and retrieval will literally change their brains. Working memory, or short-term memory, involves the ability to hold and manipulate information for use in the immediate future. Information is held in working memory for only about 20 minutes. The challenge students face is to move information from their working memories into their long-term memories. If they don't do this in about 20 minutes, that information can be lost. (Think about the last time someone gave you driving directions that seemed so clear when you heard them, but were lost to you once you made the second right turn.) To keep this newly learned material from slipping away, it needs to enter the network of the brain's wiring. Students can retain the new information by activating their previously learned knowledge that relates to the new material. This prior knowledge exists in stored loops of brain cell connections (circuits of neurons connected by branching axons and dendrites that carry the information as electrochemical signals). Effective teaching uses strategies to help students recognize patterns and then make the connections required to process the new working memories so they can travel into the brain's long-term storage areas. Although it is commonly believed that brain cell growth stops after age 20, that is not completely true. New connecting cells, called dendrites, can be formed throughout life. It is true that the neurons where memory storage takes place are not replenished; however, their extensions, these dendrites, continue to sprout and connect and form new circuits with other dendrites throughout life (Martin & Morris, 2002). These neural networks, similar to electric circuitry, are the roadways that connect various parts of the brain. Just like traffic flow in a busy city, the more alternative pathways there are to connect with a memory, the more efficiently the traffic will flow, and the more rapidly that memory will be retrieved when needed. After repeated practice, working memories are set down as permanent neuronal circuits of axons and dendrites ready to be activated when the information is needed. When a memory has been recalled often, its neuronal circuits are highly developed because of their repeated activation. A phrase that describes this construction of connections based on repeated association of one piece of information with another is “Cells that fire together, wire together.” When neurons fire in sync with one another, they are more likely to form new connections. As the connections grow stronger by repeated stimulation, a given neuron becomes more likely to trigger another connected neuron (Chugani, 1998). Like an exercised muscle, these circuits then become more efficient and easier to access and activate. Practice results in repeated stimulation of the memory circuit. Like hikers along a trial who eventually carve out a depression in the road, repeated practice stimulates cells in the memory circuit so that the circuit is reinforced and becomes stronger. This means it can be quickly turned from off to on, and switched on through a variety of cues coming in from the senses. Recall the first few times you learned and practiced a new computer process, such as making a Web page or using e-mail. At first you may have followed step-by-step written or verbal instructions. You possibly needed to rely on those instructions multiple times as you repeated the task, until one day, the process became automatic and you could even carry on a conversation while doing the job. That working memory was embedded by repetition into long-term memory, but it still needed periodic repetition for it to remain in your active memory bank and not gradually fade from disuse. Even if it did fade when you were away from your computer during summer vacation, however, the neuronal circuit or brain cell network that was created was still physically present in your brain, just like that hiking trail under the winter's snow. It was just in storage, like data taken off your computer desktop and put into the hard drive, and it took less time to refresh it than it did to learn it the first time. Even more specialized brain regions that are most active during the moments when new information is actively learned and stored have been revealed through neuroimaging and brain mapping. First, there are the somatosensory cortex areas, one in each brain lobe, where input from each individual sense (hearing, touch, taste, vision, and smell) is received and then classified or identified by comparing it with previously stored data. Next in the sequence of memory storage are the reticular activating system (alerting the brain to sensory input that sense receptors in the body send up the spinal cord) and the limbic system, comprised of parts of the temporal lobe, the hippocampus (damage to the hippocampus can result in anterograde amnesia, an inability to form new memories), the amygdala, and the prefrontal cortex (Bliss & Collinridge, 1993). Learning promotes learning. Engaging in the process of learning actually increases one's capacity to learn. Each time a student participates in any endeavor, a certain number of neurons are activated. When the action is repeated, such as when performing a follow-up science lab experiment or rehearsing a song, or when the information is repeated in subsequent curriculum, these same neurons respond again. The more times one repeats an action or recalls the information, the more dendrites sprout to connect new memories to old, and the more efficient the brain becomes in its ability to retrieve that memory or repeat that action. Eventually, just triggering the beginning of the sequence results in the remaining pieces falling into place. This repetition-based sequencing is how you are able to do many daily activities almost without having to think about them, such as touch-typing or driving a car. The reason for this ability goes back to the construction and strengthening of those memory pathways in the brain. Very few educators resort to having students learn only by rote memorization or limit instruction to only drill-and-kill worksheets day after day in hopes of imprinting material in students' brains. Teachers know from their own teaching experience how briefly that material remains accessible to students. Many teachers can recall occasions when they accidentally gave students a spelling list or math worksheet they had already completed, and the relatively large number of students who didn't instantly recognize that it was the identical work they did only a few weeks, or even days, before. Now there are more ways to help students process information from lessons so it travels beyond temporary working memory and into memory storage. These strategies keep students interested in what they are learning. These lessons activate multiple senses and connect new information to multiple brain pathways into the memory storage areas. Successful brain-based teaching builds more connections and stronger circuits. Students will have more roadways to carry new information into their memory storage region and to carry out the stored knowledge when it is needed. Brain-mapping techniques allow scientists to track which parts of the brain are active when a person is processing information. The levels of activation in particular brain regions determine which facts and events will be remembered. Functional magnetic resonance imaging (fMRI) allows scientists a view of brain activity over time. In one study focusing on visual memories, subjects were placed under fMRI and then shown a series of pictures. The researchers found that activity levels in the right prefrontal cortex and a specific area of the hippocampus correlated with how well a particular visual experience was encoded and how well it was remembered (Brewer, Zhao, Desmond, Glover, & Gabrieli, 1998). A study led by Dr. Anthony Wagner (1998) when he was at Harvard Medical School focused on verbal memory. Subjects were asked to analyze words either by their meaning (whether the concept was abstract or concrete) or by their appearance (whether the word was in uppercase or lowercase letters). Activity levels in the prefrontal cortex (but this time on the left, where the Broca's language center is for more than 90 percent of all people) and the same parahippocampal area again predicted which words were remembered in subsequent tests. Furthermore, they discovered that words were much more likely to be remembered when subjects concentrated on the meaning of the words rather than on their appearance (Wagner et al., 1998). This is an example of how neuroimaging can directly give evidence of the type of memory strategy that works best for the information to be memorized. It also adds evidence to the biological theory that more complex cognition (student-active learning) increases memory retention. Build stronger memory circuits. Some of the strategies suggested by neuroimaging are ones that have students personalize information to be learned, thereby further activating the areas of the brain that help form memories. Others encourage students to connect with the information with as many senses as possible. They can visualize an electron orbiting the nucleus of an atom, mimic the buzz of electricity as it whizzes by, or feel a tingling associated with the electron's negative charge by rubbing a balloon against their arm and feeling their hair move. If they then draw a sketch of their visualizations and verbally communicate them to partners, or write about them in their own words, multiple brain pathways will be stimulated to enter long-term memory because they have personalized and interacted with the information. The brain may appear to be a tangled bundle of miles of nerve cell connections, but these bundles are in fact organized. From brain mapping we know that predictable tiny regions of the brain are where specific cognitive activities take place. Similarly, imaging has shown us that each of these locations is fed data from brain centers that collect information from the senses and emotions. When students build their working memories through a variety of activities, they are stimulating multiple sensory intake centers in their brains. Their brains develop multiple pathways leading to the same memory storage destination. By stimulating several senses with the information, more brain connections are available when students need to recall that memory later on. This means that the memory can be retrieved by more than one type of cue. If the learned information was taught with visual and auditory associations, it can be recalled by the students using either their sound or visual memory. My teachers allowed me the exhilaration of my own discovery. Our brains are structured to remember novel events that are unexpected. Back to basic survival, success is often based on our ability to sense a cause and predict the effect. For example, we get out of the way when we see something being dropped from a roof above us because we predict the possibility of injury from the falling object. Because our brains are encoded to make and respond to predictions, they are particularly stimulated when they predict one effect and experience a different one. Use surprise to bring students' brains to attention. Consider employing the technique of surprise to light up students' brains and illuminate the pathways to memory storage. Starting a lesson with an unanticipated demonstration or having something new or unusual in a classroom will spark student attention and curiosity. It can be anything from playing a song as they enter to greeting them in a costume. If students sense novel experiences from demonstrations descriptions, anecdotes, or even the enthusiasm in their teacher's voice, they will be more likely to connect with the information that follows. To take advantage of their engaged state of mind, students should have opportunities to interact with the information they need to learn. The goal is for them to actively discover, interpret, analyze, process, practice, and discuss the information so it will move beyond working memory and be processed in the frontal lobe regions devoted to executive function. Teachers don't always have to dialogue with individual students to prompt their being “in the moment” with the information, although that certainly worked well for Socrates. Strategies that can achieve these goals include partner discussions and Think-Pair-Share. Students can write dend-writes (a more enticing name for class notes that gives student note-taking more status). They might add a sketch in their notebooks alongside their comments about the surprise, the new information they learned, and their personal response to it (What did I see/hear/smell? What did I learn? What surprised me? What do I want to know more about? What did this information remind me of?). When the lesson is a more passive one, such as students reading a section of a textbook in class, teachers can improvise engaging strategies using resources already accessible. Well-crafted textbooks often include comprehension questions at the end of each chapter. However, in the age of interactive computers and video games, the textbook is not likely to grab students' enthusiastic interest without some help from their teacher. Teachers can select some of the text's more thought-provoking questions, the more open-ended questions that prompt connections to previous experiences or learning, and those that encourage students to consider their personal opinions. Instead of assigning the rather tedious, passive homework task of having students read a question, then search the chapter or their notes for “the right answer,” teachers can create classroom opportunities to bring these questions to life. To stimulate more memory circuits, students can use these chapter questions to interview a partner as if for a television news show. They can sketch an abstract representation in response to a concept question (What would the Big Bang or infinity look like?). It might seem boring or pointless to students if you ask them to check their own notes for accuracy, but with proper teacher modeling to demonstrate respectful and constructive peer editing, students can read the notes of partners and advise them on what they missed. They are also likely to find information in their partner's notes that they will want to add to their own. After any of these activities, partners can “nominate” their classmate's sketch, notes, or interview comments to be shared with the entire class. When teachers have taken steps to engage students' interest long enough for new information to pass from awareness into working memory, students' brains can take over, and these meaningful patterns and memorable connections will penetrate through the brain circuits to relate to and build upon existing stored memory pathways. Decades ago, my high school chemistry teacher slowly released hydrogen sulfide (rotten egg smell) from a hidden container he opened just before we entered his classroom. A few minutes after we took our seats and he began his lecture, a foul odor permeated the classroom, grabbing our attention. We groaned, laughed, and looked around for the offending source. To an outside observer entering our class at that time, we would have appeared unfocused and off-task. However, this demonstration literally led me by the nose to follow his description of the diffusion of gases through other gases. It is likely that during that class I created two or three pathways to the information about gas diffusion that I processed through my senses and ultimately stored in my long-term memory. Since then, that knowledge has been available for me to retrieve by thinking of a rotten egg or by remembering the emotional responses as the class reacted to the odor permeating the room. Once I make the connection, I am able to recall the scientific facts linked to his demonstration. Event memories, such as the one that was stored that day in my chemistry class, are tied to specific emotionally or physically charged events (strong sensory input) because of the emotional intensity of the events to which they are linked. Because the dramatic event powers its way through the neural pathways of the emotionally preactivated limbic system into memory storage, the associated hitch-hiking academic information gets pulled along with it. Recollection of the academic material occurs when the emotionally significant event comes to mind, unconsciously or consciously. To remember the lesson, students can cue up the dramatic event to which it is linked. Can you recall a time when you smelled the perfume a friend or loved one wore, and you remembered other details about that person? Perhaps upon hearing an old song, you've recalled dancing to it years before? You can probably visualize where you were when you heard the World Trade Center had been hit. When you think of that event, you probably remember other details of your environment at that moment. Similarly, experiential learning that stimulates multiple senses in students, such as hands-on discovery science, is not only the most engaging, but also the most likely to be stored as long-term memories. Because each of the senses has a separate storage area in the brain, multisensory input results in duplicated storage and can be retrieved by a variety of stimuli. 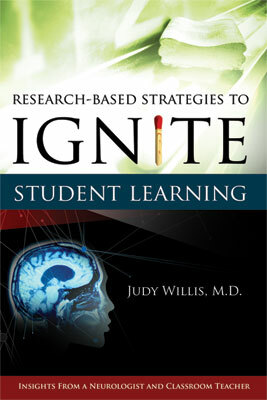 With strategies that engage the senses, students “become” the knowledge by interacting with it. As a result, a new memory that might otherwise be forgotten is linked to a sensation, a movement, or an emotion, and therefore it travels into the memory storage along more than one pathway. This redundancy of pathways means greater memory retention and recall. Hands-on experiential learning activities are by nature multisensory. They actually stimulate two memory systems in separate brain regions that are seen networked together, resulting in powerful cross-referencing on PET scans (Andreason et al., 1999). These activities teach information that is specifically structured into the lesson—factual information such as the process of photosynthesis. That is semantic memory. In addition, there are episodic or event memories stored, such as the sensory input from touching, seeing, measuring, and investigating the plant. Because hands-on activities target both memory systems, there is greater likelihood of retention and less need for inefficient rote memory. It is not, nor should it be, an educator's role to turn the classroom into a video arcade. We don't want students to be primarily motivated by the external rewards of bells and whistles. An ideal event-memory lesson would be one where students' brains are stimulated by their participation in a challenging and engaging student-centered activity that simultaneously activates multiple sensory systems and executive functions as they strive to make sense of experience. The goal is to provide experiences that enable students to interact with knowledge in ways that arouse their physical senses and positive emotions, or to connect the new information with their past experiences and interests. Educators can supercharge material to be learned by relating it to students' senses and experiences, and these connections intensify their memory building. This process of connecting new information to related experiences or memories is aptly named relational memory. Learning consists of reinforcing the connections between neurons. Relational memory takes place when students learn something that adds to what they have already mastered; they engage or expand on “maps” already present in the brain. This process engages more executive functions as students' brains scan their stored memory banks seeking relationships that help them put new connections in context. Any new information or learning must enter the brain through one or more of the senses (hearing, seeing or visualizing, touching, tasting, smelling, and emotionally feeling). First, the information is decoded by the sense-specific receptors of the body. From there the information travels through the nerves in the skin or body to the spinal cord and up through the reticular activating system to the specialized part of the brain that receives input from the particular senses. If all goes well, the information is then carried to the limbic system. After first entering the hippocampus, messages are sent to the prefrontal lobe storage areas, association region, and executive function regions to reactivate any potentially related memories stored there. If previously stored, related memories can be activated and sent to the hippocampus and nearby regions of the temporal lobe, where they are connected to the new information to build relational memories. The brain then makes the conscious connections between these stored memories and the new information, and forms a new integrated memory for storage in the frontal lobe. This relating function of the hippocampus is so critical to the process of creating memories that when the hippocampus is severely damaged, the individual can lose the ability to form new memories. Patterns are paths for memories to follow. How does relational memory apply to teaching? We already know that rote memory is inefficient, but now there is visible evidence to encourage helping students make connections and see patterns. Patterning is the process whereby the brain perceives and generates patterns by relating new with previously learned material or chunking material into pattern systems it has used before. Education is about increasing the patterns that students can use, recognize, and communicate. As the ability to see and work with patterns expands, the executive functions are enhanced. Whenever new material is presented in such a way that students see relationships, they generate greater brain cell activity (forming new neural connections) and achieve more successful long-term memory storage and retrieval. Graphic organizers help students see relationships and pattern new information for memory storage. They are one of the most nourishing of all “dendrite sprout foods” to nurture students' brain growth. The more educators add the science of teaching to their individual styles and skills, the less students will need to rely on the inefficient and unpleasant process of rote memorization. Graphic organizers are a creative alternative to rote memorization because they enable students to make connections, see patterns, access previously stored related memories, and expand upon existing memory circuitry. Graphic organizers coincide with the brain's style of patterning. For memory capture to occur, there must first be encoding (the initial processing of the information entering from the senses). If this information is to reach the final stage of enduring memory retention in long-term memory, there must be a process of consolidation and storage, where the otherwise transiently encoded event or information is patterned into a more enduring form (Koutstaal et al., 1997). Graphic organizers promote this more enduring patterning because material is presented in ways that stimulate students' brains to create meaningful and relevant connections to previously stored memories. They can make associations, discover patterns, sort information, and store the new data as relational memories and then long-term memories (see Figure 1). You will create a graphic organizer with evidence to support the following generalization: Sleeping 8 to 10 hours each night is good for middle school students. First, put the generalization in the center of the graphic organizer page. For each fact that you select to support the generalization, include a visual symbol. It can be a picture you draw, a symbol, or clip art. Use at least three colors. Include at least four supporting facts. Information taught in patterns can be as simple as presenting material in chunked format. Because the working memory has a capacity for immediate recall limited to from five to nine pieces of unrelated items, if information is separated into chunks, students can remember it more successfully. Just as phone numbers and social security numbers are divided into chunks of three or four, information—from biologic genus-species names to states and capitals—can be chunked into groupings of three or four, ideally with some commonality that relates them. When graphic organizers help students cluster information, the process enhances the brain's natural tendency to construct meaning by forming patterns. The best graphic organizers engage the students' imaginations and positive emotions in a creative process whereby they recognize, sort, and discover patterns for themselves. In addition, the use of graphic organizers to connect information in meaningful relationships allows students time for reflecting about the information. The result is that they can ultimately go beyond regurgitating rote memorization to the higher cognitive process of using the information in significant ways. The relational memories they store will be available for critical thinking and other executive functions to use for meaningful problem solving. Graphic organizers are intrinsically engaging, as they require students to interpret and interact with the material. When students create their own categories (personal relevance) the connection is increased. If they are provided a framework for their organizers, it is helpful if they understand the logic of the structure they are given. Teachers develop the ability to read their students' body language, and this skill can let them know when it is time for brain breaks (“syn-naps”) or altering their mode of instruction. Alertness and memory retrieval increase with more varied modes of instruction of the same material, so one-lesson-fits-all formats should be avoided. Differentiated instruction is one way to gear instruction toward a different type of intelligence each time the lesson is retaught. The better textbooks provide suggestions for these alternative teaching approaches. Flashbulb memories. As described previously, powerful emotional events are also retrieval-building tools. These flashbulb memories, such as the destruction of the Twin Towers or the Challenger or Colombia blowing up, result in powerful association memories such as what we were doing at the time we heard or saw the event. These vivid, photographic memories of a lesson punctuated with positive visual and emotional content can include student dramatization in a lesson, pantomiming a vocabulary word, acting out a history skit, or role-playing a conversation in a foreign language. (Students will also benefit from the physical movement and change these activities provide). For these purposes I keep a box of costumes, especially hats, in my classroom at the ready for lessons well suited for dramatization. Multiple forms of review, such as concept maps to provide framework for retrieval. Visual imagery: Visualize the historical event using words or pictures on paper. Personal relevance: Tie the information to their lives. Think, write about the connection, and share with a partner. Produce a product or make models. Once the information is successfully retrieved, it still needs to be reviewed between four and seven times to ensure retention. Review beyond a single perfect response permits the new neural networks to fire correctly more than once. The more they fire, the easier it is to access and retrieve the information later. Keep student anxiety and stress low. Punctuate lessons with attention-grabbing moments. Improve student memory and retention by making connections to previously learned material, personal experience, and positive emotional states. Enrich lessons with multisensory input. Access multiple intelligence strategies authentically connected to the material. When the 6th grade students entered Ms. Patterson's class one late October morning, the room was darkened, with candlelight the only illumination. Desks were pushed to the sides, a few blankets were spread on the floor, and a “director's chair” faced the classroom. Their delight at this haunted setting allayed any fears of their pending oral presentations of scary stories, and because of this novel surprise, they were more attentive than ever before. One of the reasons the first day of school is exciting for most students is because there is novelty. It can be the new teacher, new classmates, different bulletin board, new textbook, or even a change of view out the classroom window. Enthusiasm is generated when students are presented with novelty and find creative ways to explore or connect with the new material and are inspired by it. If teachers can generate this awe and sense of wonder, students will be pulled into the lesson and want to connect with the information in a meaningful way. Brains search for meaning to successfully encode new information. Students' attention must be engaged before the new information can be perceived, encoded, and patterned. Novelty, humor, and surprise in lessons expedite students' attentive focus, and the use of these strategies results in more successful encoding of data into the memory circuits (Koutstaal et al., 1997). Interactive strategies that incorporate novelty and engage attention can include quiz show formats. New and changing match-game puzzles at workstations with colored stickers or humorous sketches will engage students' attention. Then students can perform the patterning task of connecting one fact to another. This match-game process can be applied to words and their definitions or to two sides of math or science equations. Even changing where students sit brings freshness to their classroom experience. Lessons don't all have to involve elaborate surprises to be motivating. In planning ways to punch up the memory links for the material taught, teachers can engage students' interest through student-centered lessons. Something as simple as a mirror can personalize a learning activity—ask the students to look in the mirror and respond to a writing prompt such as, “What will the person in the mirror do to make the world a better place?” or “What will the person in the mirror do if he or she hears a racial slur?” Even with a large class, strategies that connect individual students with the material in personal ways are key to keeping students tuned in and their brains turned on. As noted previously, a student must care about new information or consider it important for it to go through the limbic system expeditiously, form new synaptic connections, and be stored as a long-term memory. In other words, memories with personal meaning are most likely to become relational and long-term memories available for later retrieval. Student-centered learning can lead to mastery, because the lesson has personal meaning that they can see has the potential to increase their success and skill in achieving something they care about. Hooks to connect. Learning should and can be exciting when students relate new information to past experiences. This connecting lets them personalize the learning and increases opportunities for its placement in the relational memory system. If they don't have any links to hook into, teachers can start them off with scaffolding through structured outlines or graphic organizers that they can fill in after they participate in an active learning experience. They can then personalize the information by thinking of ways in which they might use it in future careers or hobbies. This same positive neural circuit connecting occurs when the lesson is associated with a positive emotional experience. The positive emotional experience can be the result of feelings of accomplishment, pleasant social interactions with classmates or the teacher, or specific acknowledgment and praise. This emotional connection is particularly applicable during adolescence. The influences of emotions and hormones are greatest during the elementary and middle school years, making these years a particularly significant time to use teaching strategies that make the most of the heightened emotional state of students. An example would be to help students reach a state of excited interest and emotional comfort by introducing the material in association with something that the class always enjoys. This association can be a lesson that starts out in the playing field or one that begins with a treat such as popcorn. For example, a new class literature book is sometimes introduced by having students read the first few pages aloud using the “popcorn” or “jump in anytime” read-aloud technique. (In popcorn reading, students take turns reading aloud, but instead of alternating pages or paragraphs, a reader pops in anytime, even in mid-sentence. This reading technique is useful to keep the students following the text while listening to others reading because they must be following the words carefully to pop in.) Before introducing “popcorn reading” you can give out or even pop some popcorn to demonstrate why the technique is called “popcorn.” By associating the lesson with a positive emotional memory, the academic memory will be linked and related to the positive emotional memory. Cross-curricular relational memory building. Learning related material across the curriculum involves activities that increase the connections between different areas of the brain where related information is stored. When students investigate topics creatively with thematic, interdisciplinary approaches, they learn patterns and skills, not just facts. When subjects are interrelated, they are more easily recalled and there is less need for memorization, because higher levels of thinking have been stimulated and there are increased numbers of pathways by which information can travel in and out of long-term memory banks. Visualization. Visualization is another way for students to create personal connections to the material. After first modeling and describing a visualization of one's own, such as what the teacher pictures when thinking of a sunrise during the fall equinox at the North Pole (which direction are you looking in and at what time of day) and frontloading students with factual information, students are then asked to visualize the science they are learning about, such as the Big Bang that may have occurred at the birth of the universe. After giving imagination free rein, more of their brains can be engaged if the students put their visualization into words, diagrams, or pictures. They can describe their images to each other, write them in words, or draw sketches. Just as athletes may visualize a move before they execute it, students can be encouraged to visualize a biological process or historical event as it is explained in class. When they draw diagrams, create models, and engage their sight, hearing, smell, touch, or movement, they are making connections between the new information and something they already know. They are engaging multiple brain pathways and increasing the likelihood of memory storage and effective retrieval. The more bizarre the visual image, the more memorable it becomes. Modeling becomes important here to show them how their teacher pictures a high hangman's gallows, built with a right angle, with a pot in a noose hanging from it, to remember the word and position of the hy-pot-en-use in a right triangle. This visualization process can include humor, creativity, pleasure, and self-satisfaction. All of these predispose the limbic system to add emotional power as it passes the image and the attached concept into long-term memory storage. In addition to generating mental images, if kinesthetic activity can be incorporated, the student has at least two different memory circuits activated. I have used visual images, accompanied by a sketch on the board, for unfamiliar terms, but two that always elicit groans and giggles are so well remembered that new students come to my class asking when I'm going to teach them about polygons and the rhombus. Similarly, former students come back and tell me they never forgot those terms. For the explanation of open versus closed polygons, I draw a closed, multisided polygon with a bird inside. I then open the polygon by erasing one of the sides. I next erase the bird and say, “When the polygon is open, Polly is gone.” I'm glad I can't hear your groan or I might not proceed with the rhombus. I draw a rectangle and tell the students that one day a new, inexperienced bus driver was on the road and hit the rectangle. I then sketch the rectangle after it was struck by this WRONG BUS—it tilts to the side and becomes a “rong-bus” or a rhombus. After the groans, I have them stand like rectangles and imagine that the wrong bus taps them, so they tilt a bit and turn into human rhombus-like structures. If I am short of lesson time for vocabulary words, I might act them out myself and have students select the word from a list on the board that matches my pantomime. Other times I ask them to make a physical response that reminds them of the word. I have a great class photo that was taken when I asked them all to show me a “haughty” expression, after first prompting them that it might be the expression a rude king or queen might make after being served tea from a dirty cup by an unwashed servant. Even with highly conceptual learning, such as political systems or philosophy, if the students can actively do something with the new information, they can ultimately own it and store it in permanent memory. The more abstract the information, the more creative teachers need to be to help students relate the material to personal experiences or consider its practical or future applications. For example, historical events can be personalized by turning them into ethical dilemmas students might face today. Students can experience firsthand the dilemmas of the non-Jews during the Holocaust who struggled with the risks to their own families in hiding Jews from Nazis. Follow a lesson about those events with a question relating that ethical dilemma to one that could happen today. “What if your neighbor was hurting his dog and you saw him do it again and again. What if he saw you watching him and told you he would poison your dog if you reported him. What would you do? How would you feel?” When children consider how they would respond, the history takes on personal meaning and becomes relational memory. The amygdala is part of the limbic system in the temporal lobe. It was first believed to function as a brain center for responding only to anxiety and fear. Indeed, when the amygdala senses threat, it becomes overactivated (high metabolic activity as seen by greatly increased radioactive glucose and oxygen use in the amygdala region on a PET scan). In students, these neuroimaging findings are seen when they feel helpless and anxious. When the amygdala is in this state of stress, fear, or anxiety-induced overactivation, new information coming through the sensory intake areas of the brain cannot pass through the amygdala to gain access to the memory circuits. More recent studies have found that the amygdala also is stimulated, but to a lesser degree of metabolic activity, when students are in a positive emotional state with feelings of contentment, joy, play, and a comfortable, but stimulating, amount of challenge. During these emotional states, neuroimaging shows metabolic states of low-level stimulation in the amygdala. Students tested under these conditions show better working memory, improved verbal fluency, better episodic memory for events, and more flexible thinking yielding creative ideas for problem solving. They even show more positive social behaviors—helpfulness, sociability, focus, patience, and other higher-order executive function and decision-making abilities. Subsequent research revealed that after presentation of pleasurable, comforting, positively reinforcing, intrinsically motivating stimuli, the amygdala could be moderately stimulated or warmed up to the alert state that actually facilitates active processing and neuronal transport of information. This represents the actual neuroimaging visualization of what has been called the affective filter—an emotional state of stress in students during which they are not responsive to processing, learning, and storing new information. This represents objective physical evidence that during periods of high stress, new learning just doesn't get in to the information processing centers of the brain. To prevent overactivation of the amygdala, protect students from aversive experiences that would block the passage of new information into long-term memory. The type of stressful experiences that can result in amygdala blockage include calling out students' failing test grades aloud as exams are returned, teaching a lesson in a language that students don't understand without using TPR (total physical response, with gesturing, pointing to objects, pantomime, and other techniques to give them the information they need), or ignoring hands raised with questions without telling the students that you will get to their questions within a few minutes after you finish making your point. (Once students don't understand a part of a process, such as a step in a math calculation, it is stressful to hear the teacher continue on while they are lost. If they are assured that their questions will soon be answered, they don't overstress.) In general the type of stress that is overpowering is a helplessness connected to hopelessness. PET scans show how information coming from the sensory receptor areas of the brain must travel through the amygdala to get into the hippocampus, from where it can be sent to the executive function and long-term memory storage areas in the frontal lobe. These scans demonstrate that when the amygdala is in its highly metabolic state of hyperstimulation from stress, these pathways leading to memory storage are blocked. When they are blocked by the flooded amygdala, the scans demonstrate a lack of metabolic activity in the centers of reasoning and long-term memory. In other words, when the limbic system, particularly the amygdala, is hyperstimulated by high stress, it becomes flooded by so much neural metabolic activity that new memories cannot pass through it to memory storage and reasoning parts of the brain. The research represents the actual neuroimaging visualization of what has been called the affective filter—an emotional state of stress in students during which they are not responsive to processing, learning, and storing new information. However, as important as it is to avoid overactivation of the amygdala, it is also important to provide mild-to-moderate challenge to stimulate authentic curiosity and engagement in lessons so the amygdala, tuned to just the ideal state of activation, can enhance the speed and efficiency of information flowing through into the memory storage areas of the brain. It is just the right balance of these emotional and intellectual opportunities, and the incorporation of students' own interests and curiosity into the lesson, that will motivate them to work toward greater understanding and connection with the material. As students access this pathway with open-ended and studentinitiated questioning, they will engage their higher-order executive functions and, with practice, experience the confidence to see themselves as learners with open minds. Educators can help students unlock the gatekeeper (amygdala or affective filter) for sensory data. Once the information can get through the amygdala, it can be linked with students' personal interpretations and teacher-guided meaning. These memories have the best chance of entering long-term memory storage banks. Every brain needs periodic rests during which neurotransmitters can be replenished and executive function can process the new material. The use of the word “Syn-naps” is an example of the use of word play to help build memory. The synapse is the gap between nerve endings where neurotransmitters like dopamine carry information across the space separating the axon extensions of one neuron, from the dendrite that leads to the next neuron on the pathway. The creation of a word like syn-naps helps teachers recall that after repeated release of neurotransmitters from a nerve ending, there needs to be a brain rest when the neurotransmitter can be restored to be available for release when the next message comes traveling along the neuronal circuit. These syn-naps are restorative breaks that are as important for successful memory retention as are other elements such as surprise, positive emotional state, sensory memories, and other relational memories. Not only do these “naps” prevent overloading of the circuits and interference with maximal memory storage conditions, but they also help maintain positive emotional states. If the lesson involves complex material, especially in a lecture mode, syn-naps can be necessary after as little as 15 minutes. When students are entering a state of depletion of neurotransmitters in their synapses, they will become fidgety, distracted, and unfocused. It is best to have students take the brain rest before neurotransmitter depletion occurs and before stress builds up in the amygdala, inhibiting new information intake. If the neurotransmitters are not being replenished as fast as they are being used, or if amygdala hyperactivity is beginning to block new information input, memory efficiency drops rapidly. In this burnout state, new memories can't be stored efficiently. These neurotransmitters are released on one side of the synaptic gap and float across the synaptic space to the next nerve cell, where they hook on to specialized receptors. When this hook-up takes place, the electrical transmission down that next nerve in the circuit nerve is reactivated. When neurotransmitters are depleted by too much information traveling through a nerve circuit without a break, the speed of transmission along the nerve slows down to a less efficient level. When this happens, information processing takes longer, leading not only to student frustration, but also to less successful memory storage. Depleted neurotransmitters rebuild within minutes if the break is taken before complete meltdown, but their rebuilding takes longer if they are severely depleted. It is ideal to prevent burnout by planning brain rests before students display the first signs of glazed expressions or distraction. If these overload/depletion times are anticipated before they occur, and students have a break before that point, the topic about which they were learning will not be linked or negatively reinforced by their associating feeling bored with that topic when it comes up again. During these rests, the newly learned material has the opportunity to go from working or short-term memory to relational memory (although it will not become a permanent memory until time and practice follow). The students can start the break with a complete change of pace by moving about the room, drinking water, stretching, singing, dancing, or taking a bathroom break. However, after that transition, it is critical to implement the strategies that have proven most effective in cementing the working memory into relational memory and long-term memory. Generate mental images (if not done previously) and think about what other mental pictures come to mind in association with these new ones. Analogies, although no longer part of the SAT, remain effective ways for students to conceptualize and thereby interact and connect with instruction by comparing the similarities or differences between two chunks of information. After syn-naps, students can try to create a simile or metaphor that helps them abstract the new material, such as, “Adverbs give more meaning to verbs like acting kindly gives more meaning to a friendship.” This analogy-building process is a way of physically structuring the memory circuits, or bringing stored similar memories online to connect with the new information. Students may benefit from prompts to make analogous connections with questions such as these: In what way was the American Revolution like a baseball strike? How are human hands like bats' wings? How are babies like the new seedlings we are growing? How is mutation-based evolution similar to the TV show Survivor? Greater connections to book reports, history reports, and empirical essays can occur when students use analogies in the form of personal anecdotes that begin the essay and are concluded at the end of the report. This strategy not only connects the student personally with the topic, but is also a compelling way to draw in readers. Memory is strengthened by insight; when students understand concepts well, it is much easier for them to remember relevant facts. This memory strengthening is what occurs when students use analogies, metaphors, and personal anecdotes to connect new information to their own stored internal graphic organizers—their neurondendrite networks. Multiple mechanisms work to maintain stored memory, including recollection, familiarity, and priming. Once the information is remembered correctly and used with executive functions, it still needs to be reviewed on a regular basis, but at gradually lengthening intervals. This repetition, after the first correct response, results in reinforcement of the neuronal connections along the lengths of the axons and dendrites and across the synapses. The more the neural connections are activated by the stimulation that practice brings, the more dendrites grow to strengthen the connections between the neurons. fMRI studies during the learning of a motor movement (in this case learning to play the piano) revealed that during these initial learning stages, a large portion of the brain's motor control region is activated. With practice and improved skill levels, smaller and smaller regions of the brain are activated during the piano playing. In professional musicians, only very tiny regions of the motor cortex are involved in their playing. The conclusion drawn was that because practice makes the neural networks more efficient, it took less brain metabolism to carry out the same activity. The result is that there is freeing up of brain energy and areas to be used for other things (Jancke, 2000). When the brain perceives information repeated in multiple ways, there is a priming process that makes encoding of that information more efficient. That is why writing a vocabulary word in a sentence, hearing classmates read their sentences, and then following the direction to use the word in conversation during that day will result in more successful long-term memory storage and retrieval than just memorizing the definition (Koutstaal et al., 1997). This varied repetition of the information results in consolidation of information. Consolidation of information involves using the most effective strategies to first acquire information and then practice and rehearse it. The best-remembered information is learned through multiple and varied exposures followed by authentic use of the knowledge by processing it through the executive function centers. This executive function processing of new information can be achieved by student-centered or open-ended questions, active problem solving, or connecting the information to real-world situations. These steps along the way will change the sensory data students are bombarded with into knowledge they will own. These multiple and varied exposures and higher cognitive processing result in more pathways leading to the newly stored information. That means there will be more ways to later access the information for retrieval after it has been stored in the long-term memory centers. Introduce the information when students are engaged, with focused attention. Use multisensory avenues of exposure to the information that result in multiple connections and relational memory links to existing memory circuits to increase recall and memory storage. Create student-centered, personal motivation for learning. For example, if there is math or science that needs to be mastered in the curriculum standards, students can be motivated to learn, even memorize, the basics—algebra, structural geography, physiology, cellular chemistry, aerodynamics, and wave mechanics—to reach their goal of building a model land-water amphibious vehicle. Use skilled and practiced observation techniques (on initial exposure and repeated opportunities to observe again as topic of study continues) to make personal connections and discoveries about the material to be learned. Have students use the information to answer personally relevant, critical thinking questions or make and support judgments using the new knowledge. Pose practical, real-world problems for students to solve using the new knowledge. Ask students how they might use the information outside of school. How might it be important in what they are considering as a possible future career? How might it be valuable to their parents' jobs? Just as personal interest and novel activities generate interest in the big picture of a new topic, these techniques are also valuable in culminating experiences. For example, after we studied the daily life of the early American colonists, we had Colony Day. Students could dress in colonial attire, bring authentic colonial foods, teach the class a colonial game, act in the role of a famous person from colonial times, or demonstrate a craft or professional skill from that era. Students could choose their type of participation, and use executive function and the newly acquired knowledge of colonial life to evaluate the best ways to proceed with their plans, plan and prioritize a schedule to prepare for their activity, and predict any problems that might come up. They also had to know their information well enough to respond to high-level peer questioning about the role of their person, food, or activity in colonial society. Students are guided to analyze and compare their own work and the work of experts. Students are encouraged to check on facts and details and to test their beliefs and conclusions. Students are asked student-centered, open-ended questions and critical thinking questions to increase depth of understanding. These questions can be prompted by the teacher, but should come from students' personal interest in the information to be learned. Starting with a global initial presentation appealing to their interests, students will want to ask questions to gain more information and make sense of things they see, hear, and read about. Students are given multiple exposures to the same or similar information over time. Scaffolding is provided through questions and summarizing activities to confirm that students have learned the facts and strategies needed to be successful in standardized tests and in the future use of the information to serve their needs. Students are assessed using authentic assessment; they are evaluated in how they use the material for problem solving, good decision making, creative thinking, making predictions, comparisons (metaphors/analogies), and critical thinking. Students use metacognition and reflection to learn from the learning process they engaged in and develop skills to monitor their own future learning. Metacognition—knowledge about one's own thoughts and the facts that influence one's thinking and learning—can optimize learning. Despite all the information neuroimaging and brain mapping have yielded about the acquisition of information, some of the best strategies are those that students recognize themselves. Research has demonstrated that optimal learners practice distinct behaviors. After a lesson when students are prompted to recognize a breakthrough success in the learning processing that they experienced that day, they should reflect on what they did right. So much time is spent focusing on helping students correct their errors and understand their mistakes that there may be little time left to reinforce their successful strategies. When they reflect and discover that on this successful day they took more notes, sat away from distracting classmates, participated more in the discussion, drew a meaningful sketch, enjoyed playing the match game, or made a correct prediction, that metacognition shows them a tool they will use again. It could ultimately become one of the distinct learning behaviors that enhances their competence and confidence and helps them become optimal learners. The brain-based techniques already described to enhance memory are geared to increase connectedness through familiarity, personal engagement, and varied repetition and review. When these strategies are used, most of the work to promote long-term memory storage and successful memory retrieval has been done. Because the new material was reinforced through reminders of personal connection at the conclusion of the lesson, and because students were asked open-ended questions about what they found interesting, what they were reminded of, and what they still want to know about, they will be able to take the lesson beyond the classroom door, perhaps even into the lunchroom in a discussion with a classmate, or to the family dinner table. Information about the world enters the body through the senses. The limbic system and reticular activating system prime the rest of the brain to respond to these sensory inputs. When there is the ideal amount of comfort and stimulation, these activating systems engage memory circuits to an ideal state of readiness. Memory circuits are engaged and ready. Dopamine, adrenaline, and norepinephrine are released in ideal quantities. Information is conducted along memory circuits and connects with previously stored memories and personal experience to form relational memories and patterns. Frontal lobe executive function is activated. The learned, consolidated material is reflected by wisdom as it is retrieved and applied to new situations and future creative problem solving. Multiple forms of review using different techniques for practicing the same material are of added benefit for memory consolidation, retrieval, and processing through executive function. One reason is that positive reinforcement can be a powerful factor in student learning, and because teachers can't always be there to provide that external reinforcement and reward, technology can help. Some students don't have Internet access on a readily available computer at home, but most do have this access in computer labs or libraries at school. In addition, many current textbooks in mathematics, history, and other subjects have CD-ROM versions or extensions of the texts or Web pages with interactive activities for students and teachers. Because much of the computer interactive technology starts in the mathematics field, an example available for trial use is the ALEKS system at www.K12aleks.com. This is an example of how a successful interactive computer program can reinforce learning and retention for students. The students are signed into the program by a teacher who can then monitor their time spent, progress, and learning speed, and see not only the concepts they have mastered, but also the concepts that are in their ZPD (Vygotsky's zone of proximal development or readiness). The topics that the student is ready to learn are then presented to them using a pie chart offering a selection of subtopics from which they can select. One of the most powerful factors in student learning is feedback, because it reinforces neurons in the brain. This ALEKS system gives positive feedback to the students and therefore reinforces neuron circuits in their brains. The reward they receive is authentic because it acknowledges their accomplishments and is directly connected to the learning that just took place or was learned in earlier lessons and tested in a periodic assessment. In the ALEKS system, progress feedback is available to teachers and students at any time and each new lesson starts with a review of the material previously learned. Well-engineered computer adjuncts can enhance students' memory connections, pathways for access, and retention of the material they learn in the classroom and read in their texts. However, it is up to teachers, administrators, and curriculum teams to evaluate a program's assessment system. Look for a system where periodic assessments review all topic areas of the course. This not only reinforces existing memory, but should also prompt appropriate review when knowledge gaps are revealed. Some computer systems evaluate only the student's recall of the topics taught since the last assessment. Those do not adequately address the long-term memory retrieval. If a student has forgotten things learned earlier in the course, the assessment should recognize and report these gaps when it measures true mastery. The best systems use all of this information when evaluating an individual student's readiness to proceed, and makes those assessments easily accessible and comprehensible for teachers to review. Most popular magazines and self-help books devote pages to theories on how diet, exercise, and lifestyle affect health and well-being. These factors are so difficult to quantify that it is challenging to make informed decisions. Fortunately, neuroimaging has provided empirical evidence about some of these factors, especially the impact of sleep on memory. Sleep. During sleep, the cortical executive functioning of the frontal lobes is less active because less sensory input is entering the nervous system. This reduced-activity brain state is just what is needed to allow recently learned material to be rehearsed or repeated, sometimes in dreams. Because sleep is the time when the brain is least distracted by the sensory input bombarding it all day, it can devote a greater portion of its energy (metabolism) to organizing and filing the memories formed during the day. It is known from animal experiments that memory consolidation requires the synthesis of new proteins in the hippocampus and subcortical frontal lobe memory storage areas. These changes appear on fMRI as increased brain oxygen use 24 hours after the information is stored. Thus, it is believed that memories that remain after one day are in the process of being successfully consolidated into neuronal pathways with new dendrites and synaptic connections. Connections between neurons are sprouted when memories are stored through the growth and interconnections of more dendritic spines. It takes time for these to grow, and that requires not only syn-naps (brain rests), when neurotransmitters such as dopamine are replenished, but also sleep. It is during sleep that the brain reaccumulates the greatest amount of the neurochemicals needed to stimulate dendritic growth. Memory storage in the brain is most efficient during the longest periods of uninterrupted deep sleep rather than during the “dream sleep” associated with rapid eye movement (REM sleep). This period of deep sleep is the critical time when the brain transforms recent memories into long-term memories by building and extending the dendritic branches. The hard-wiring of information learned during the day results in stored permanent memories. The more dendrites that branch out from the nerve cells, linking more and more cells together, the more efficiently the brain can recognize similarities between new experiences and already stored ones. This once again illustrates that the more you know, the easier it is to learn. Growth hormones are especially active during sleep, which is when most of the neurotrophin nerve growth factor stimulation of new dendrite branching takes place. Dendritic branching process is also enhanced by the neurotransmitter serotonin secreted by the brain predominantly between the sixth and eighth hour of sleep. This recognition of the need for sleep has led researchers to test and confirm their predictions that increasing sleep time from six or less to eight hours can increase memory and alertness up to 25 percent (Frank, Issa, & Stryker, 2001). Sleep helps the brain consolidate and cement new knowledge and experience into memory. This sleep research gives validity to what students have discovered through their own study habits of reviewing notes when they are still alert, rather than just before they fall asleep. Studies suggest that if students review their notes thoroughly and stop and go to sleep when they begin to feel drowsy, the quality and quantity of retained memory is superior to extending the review time any number of hours once drowsiness has set in. Even when sleep-deprived students catch up on their sleep, their test performance on recently learned information is lowered (Stickgold, 2000). A study of students who received low grades (Cs, Ds, and Fs) revealed that they obtained about 25 minutes less sleep and went to bed an average of 40 minutes later on school nights than students with high grades (As and Bs). Adolescents who slept less than 7 hours reported increased daytime sleepiness, depressed mood, and behavior problems (Wolfson, 1998). In 2004, Duke University canceled all 8:00 a.m. classes because students weren't getting enough sleep. “They're coming in to see us, and they're ragged,” said Assistant Dean Ryan Lombardi. Duke University also plans to offer students individual health assessments for what to eat and how many hours to sleep. When brain research on memory and retention is applied to the classroom, it not only drives the learning process, but it also allows educators to energize and enliven the minds of their students. As the research continues to build, it will be up to these professionals to develop and use new strategies that bring the brain-based research to students. That challenge will be a fascinating and exciting one to meet. Copyright © 2006 by Association for Supervision and Curriculum Development. All rights reserved. No part of this publication—including the drawings, graphs, illustrations, or chapters, except for brief quotations in critical reviews or articles—may be reproduced or transmitted in any form or by any means, electronic or mechanical, including photocopy, recording, or any information storage and retrieval system, without permission from ASCD.